4 of 37 - View South East From "Puhi Hilton". 8 of 37 - Woolshed, Yards & Cottage. 17 of 37 - The "Puhi Hilton". 18 of 37 - View from "Puhi Hilton". 20 of 37 - Basic Cattle Yards. 21 of 37 - The back Yards. 22 of 37 - Top Yards. 23 of 37 - Approximate Boundaries block available to lease with purchase. 24 of 37 - View Across to the block available to lease. 26 of 37 - Inside "Puhi Hilton". 28 of 37 - A view from behind the "Puhi Hilton" looking South East over Kaikoura. 29 of 37 - A view looking further down the coast from "Puhi Hilton". 36 of 37 - Sleep out. 37 of 37 - Inside the Sleep out. The perfect entry level property for anyone with the desire to get their foothold into sheep and beef farming. At 329 Ha, on good healthy Limestone hill country carrying around 2,000 - 2,500 stock units (if the option to lease an extra 62 Ha is taken up), in an area with reliable rainfall, located close to a township with everything that is needed to support a farming operation as well as providing opportunities to earn "off farm" income. Rising from 180 MASL to 723 MASL this has to be considered safe country. An option to lease a further 62 Ha (Approx.) is also available to a purchaser which gives an improved balance and extra flexibility to the operation, also allows the potential 2,500 SU to be reached. The recently refurbished 2 bedroom plus office cottage of some 74m² also has added accommodation of an adjacent 22m² sleepout plus second shower and toilet in the 14m² laundry/store shed between the cottage and sleepout. Close by is the 4-stand raised board, 600-night pen woolshed, with smoko room, and main sheep yards. There is also a 44m² garage/store shed beside the woolshed. The cattle yards are basic but sufficient to sort a few cattle and do the required handling, 3 pens, race and head bail. Two sets of satellite yards have been built to simplify sheep management, the first at the top of the hill and the second at the back end of the property. Escape to the hut, "Puhi Hilton" of some 20m² that can sleep 4. The views from this elevated position can be described as "unique, incredible, amazing, in-fact all three, plus a few. Sitting on the DOC reserve boundary at approximately 620 MASL looking to the head of the Puhi Puhi Valley a better retreat would be very hard to find. There is a good network of tracks over the property which provide good access to the entire property. Historic performance of the property is very good although it has been run as part of a larger property that the vendors "semi retiring" so are retaining their cattle fattening operation and wish to sell the "sheep operation". The property has a small area of flat at the woolshed and cottage. 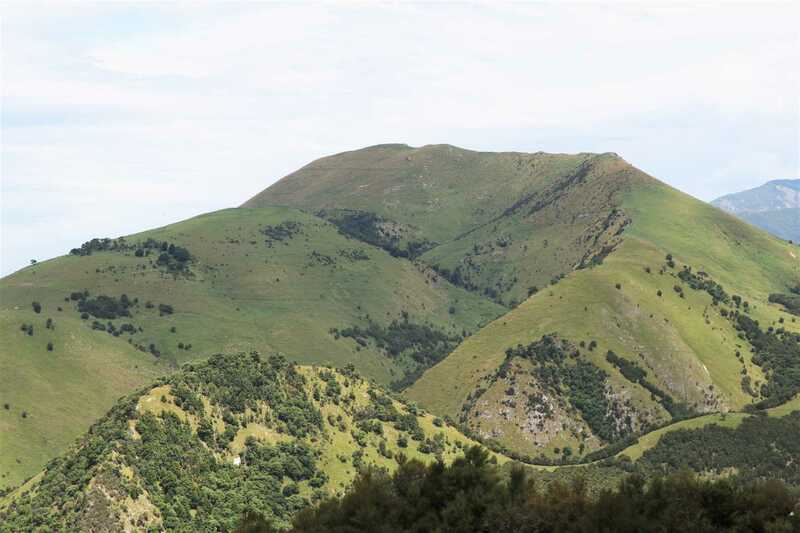 It rises steeply up the eastern faces of Kaitoa for some 200 vertical meters then eases to an easier slope where the bulk of the grazing is around the Northern and western side of Kaitoa. Thursday 21 Mar 5:00 p.m.